The humble ironing board may seem inconsequential next to the high-tech gadgets of today, yet it still plays an essential part in homes around the world today. Still, the simple ironing board can cause some confusion when it comes to making a purchase. With so many options out there, it can be overwhelming to choose which is the best ironing boards available. After much review, this list showcases the best out there, to make choosing the right one a lot easier. 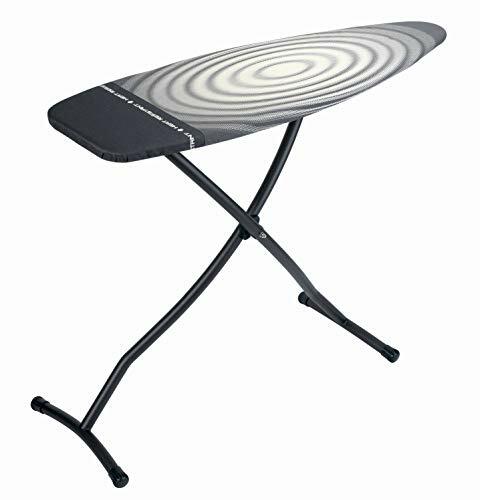 Prozone Cover: This Minky Ergo Ironing Board features a 100% cotton prozone cover, a heat reflective, metallic coating that speeds up the ironing process. Creases remove quicker and easier than before for much faster results. 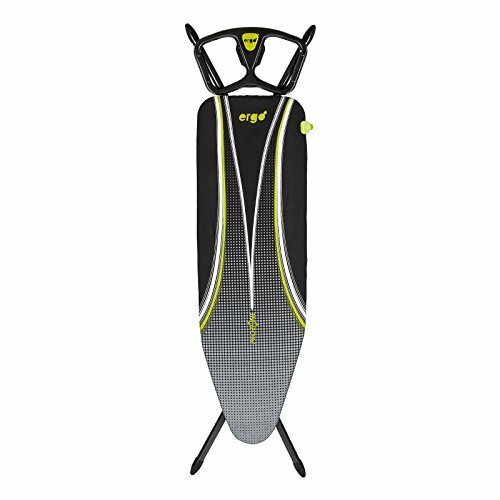 ErgoRest: The end of the ironing board features an Ergo Rest, an iron holding area that has been specially designed to avoid unnecessary arm and shoulder strain. The rest follows the natural movement of the arm and is suitable for right and left-handed users. Flex Guide: Don’t let your iron cord get all tangled up while ironing. Minky’s flex guide can clip the iron cord anywhere on the board to prevent snagging and tangling. 5 Year Guarantee: In case of any damage, Minky Ergo Ironing Board comes with a 5-year guarantee for added peace of mind. The height of the ironing board can be easily adjusted from 0 to 92cm. Minky offers two colour choices for their Ergo Ironing Board – blue or green. The underlay of the cover is made from soft felt to give a smoother ironing experience. The two colour options may not be enough for people who prefer more style variety but offer the most popular colour choices that look best with the design of the cover. Very tall people may find the maximum height too low, but at 92cm, it is sure to work for the majority of people. Foldable Rack: The Titan Oval Ironing board can be purchased with a foldable rack, convenient for stacking your clothes as you iron. It can easily be unfolded when you need it and put back when you’re done. Parking Zone: The parking zone for an iron is heat-resistant so that it can survive prolonged contact with the high temperatures of the iron. Safety Lock: Two safety locks on the Titan Oval provide peace of mind. An inbuilt child safety lock prevents the ironing board from collapsing, while the transport lock keeps the board folded in storage or during travel. 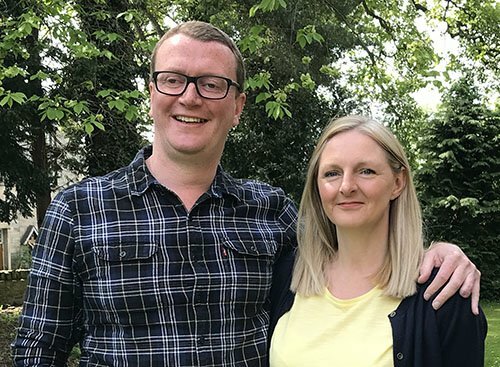 10 Year Guarantee: An impressive 10-year guarantee provides all the assurance that’s needed that this ironing board will last for many years. The Titan Oval is very stable, thanks to the non-slip caps on the board’s feet. This ironing board is extra large, perfect for those who need to iron a lot of clothes. The height can be adjusted between 61 and 106cm, perfect for very tall individuals. While style options are limited, the choices between a pretty floral design and a more masculine oval design allow for distinct personal preferences. The extra large build may not be necessary for those who live alone or have little ironing needs but is fantastic for families and large quantities of ironing. Cord Binder: The useful cord binder keeps your iron’s cord from tangling or snagging when in use. The cord can be easily clipped in place to prevent any damage. Safety Locks: Like the previous listing, this Brabantia ironing board also features an inbuilt child safety lock that prevents the board from collapsing accidentally, while the transport lock keeps the board folded when in transport or storage. Non-Slip Feet: This Brabantia ironing board features non-slip feet that keep the board stable and prevents it from moving around during ironing, which can lead to wear and tear. 10 Year Guarantee: The 10-year guarantee provides assurance of the high-quality of this ironing board that is sure to last many years. The wide surface makes it very easy to iron larger clothes items without needing to move them around. The height can be adjusted between 77 and 96cm, perfect for providing the optimal ironing height for most people. The cover’s stretch system keeps the surface very taut, so the ironing experience is very smooth and easy. With the maximum height at 96cm, very tall individuals may have to bend to use this board, though it is ideal for the majority of people. The various colour designs available could make it difficult to choose just one but definitely provides great options. Iron Rest: The robust iron rest can hold up to 7kg in weight and is suitable for both right and left-handed users. Safety Locks: Like the other Brabantia ironing boards, this board features a safety lock to prevent accidental collapsing and a transport lock to keep the board folded when carried or in storage. 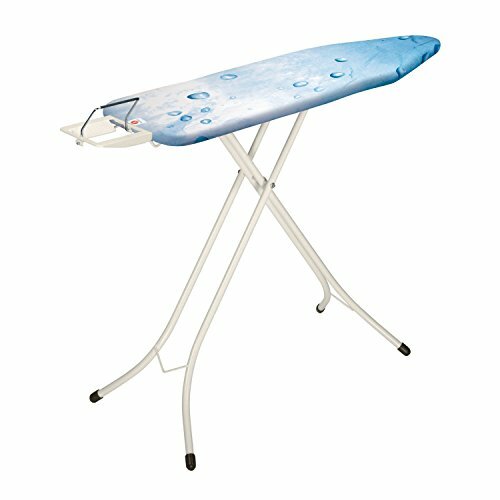 10 Year Guarantee: The 10-year guarantee is a mark that this durable ironing board will last many years without issue. The wide surface speeds up the ironing process as it eliminates the constant re-adjusting and shuffling of clothes. The non-slip locks make this great for both hard and carpeted floors and to prevent movement while ironing. The many colour options provide an excellent choice to suit a wide range of tastes. Again, the 96cm maximum height could be too short for very tall individuals but is perfect for the majority of the population. The robust iron rest may seem unnecessary if a steam generator iron isn’t used but it is also a suitable holder for regular irons with the added option of holding a heavier iron.